3 Bedroom Town House For Sale in Mexborough for Guide Price £140,000. 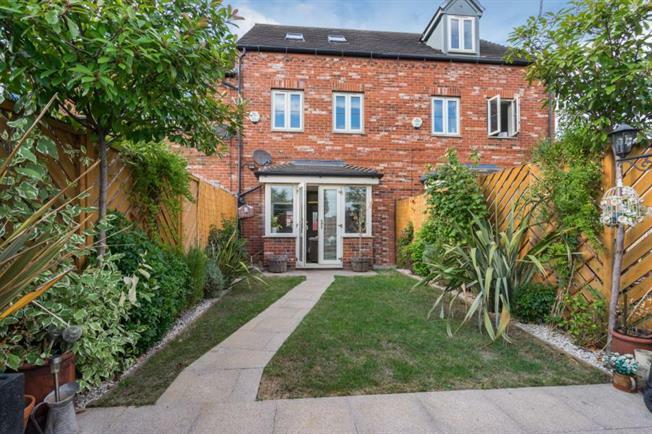 Room to grow, with this immaculately presented three bedroom mid townhouse. To the rear there are views to the canal and allotments. The family home must be viewed to appreciate the deceptively spacious accommodation and the enviable position on the development. Situated on a cul de sac the property briefly comprises of entrance hall, wc, kitchen with a range of fitted wall and base units including integrated appliances, lounge/dining room with french style doors to garden. First floor landing two bedrooms, one with fitted warbrobes and draws, famil bathroom. Second floor landing master bedroom with fitted wardobes and en suite shower room. Outside drive and single garage, garden to rear with lawn and patio. VIEW TODAY ! !